I'm obsessed with one of Fall's trendiest staples, black leather, but since it's still hot around here I thought this outfit was a perfect compromise. This dress by Cynthia Rowley was my latest #fabfound from Marshalls and just when I thought I had hit the jackpot for the day, I spotted these Nine West shoes that aside from being a great addition to my Fall wardrobe, go perfectly with this dress. These pieces can easily be transitioned into Fall by adding a blouse and tights under the dress, or pairing these shoes with jeans- both of which I will show you once this weather cools off a bit, but for now to enjoy the remainder of this heat! LOVE this look Paulina! Everything about this outfit is perfection! You look amazing girl! That's one perfect dress Pau, love the mix of materials, and the shoes? those are so fab too! Pretty, black is always classy. SO chic!! I found this dress at my Marshalls, but it looks way more fab on you. I also love that you're already rocking the 3.1 Phillip Lim for Target Mini Pashli. Great look! 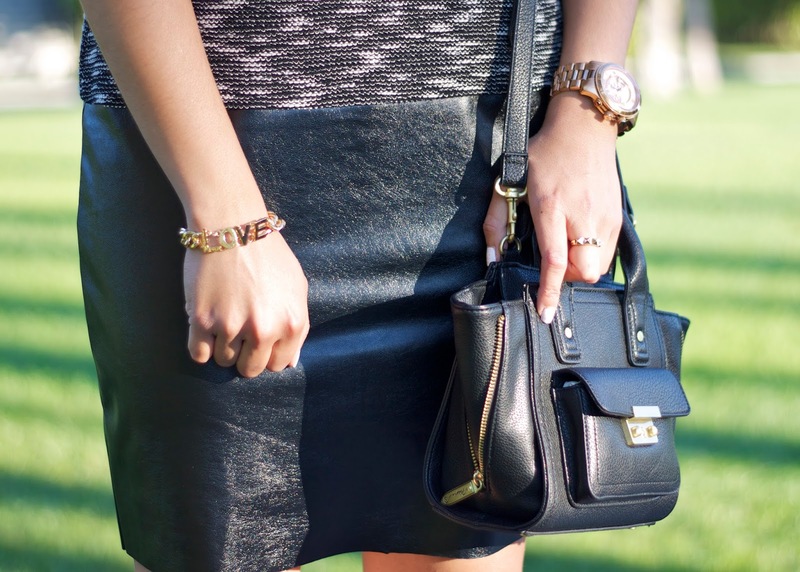 gorgeous photos and leather detail! loving your whole look! you look great! I just discovered your blog but I love it!! Might sound weird but I feel just at home here. Although, I don't personally know you I can tell you are a strong, independent, and creative woman. 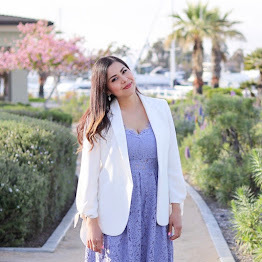 As another fashion blogger I would love to meet you and be part of the San Diego Style Bloggers community. Take Care. So cute Paulina, love the little Philip. I am excited to sport my picks from the line soon! You're on a roll when it comes to Marshall's finds! I am loving both the shoes and the dress.